If you are designing eye-wear or want to add some extras to the glasses you already own, you sure will be interested in this handy tool! 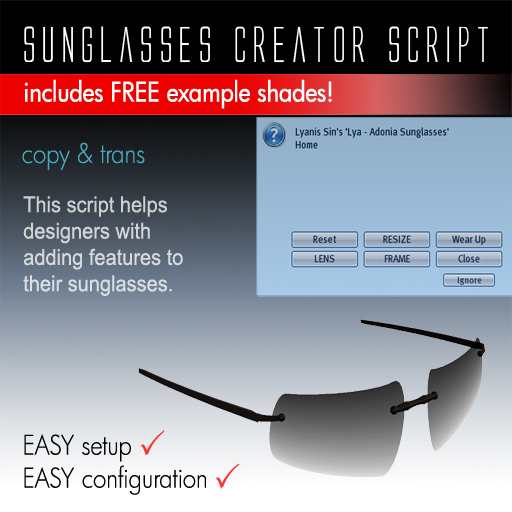 Lyanis Sin offers you a free Sunglasses Creator Script on XStreetSL. This script helps adding features to sunglasses. It comes with a variety of functions, like texture change and adjusting wearing position. Features you don’t want to use can be easily turned off by changing the configuration notecard. The set-up of the Sunglasses Creator Script is not difficult. Added is a very well described and detailed manual on a notecard. To make it even more easier, you find in the package an example pair of shades, the Adonia Sunglasses. 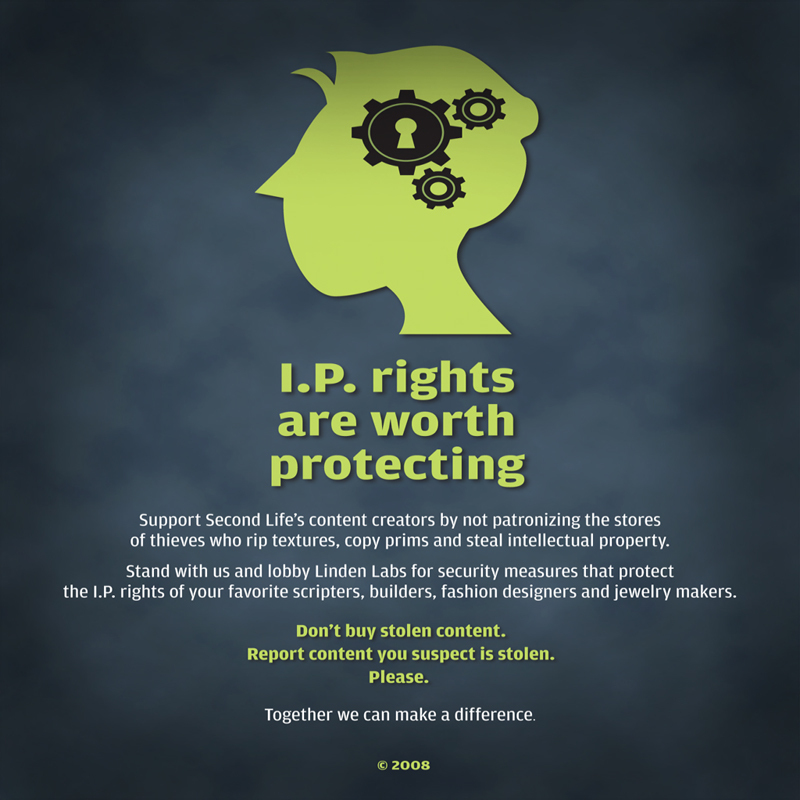 Which are at the same time a script updater, so you will always have the latest version of the script. After validating the script with a valid_key (included), the scripts in the glasses are transferable.